Did Your Doctor Really Go to Medical School? “Diploma mills” have proliferated online, and they’ve gotten much more sophisticated in the support they provide to cheating customers. This is a problem for employers, public or private. It can be expensive and traumatic for litigants and medical patients, too. Dennis Yang, a Toronto attorney, is out an estimated $100,000 because he hired fraudster Inayat Kassam to open a new office. Kassam was referred to Yang by a trusted colleague. Kassam’s diplomas, transcripts, and references all looked authentic and excellent. The problem: neither Kassam’s law school nor his BA alma mater exist! The school that issued Kassam’s fake BA diploma is supposedly based in Florida. But it turns out the address listed is fake and the photos of campus and faculty were stolen from other sites. This sort of chicanery can be exposed by calling accreditation agencies. But many fake schools also have fake accreditation agencies answering phone calls! References, too, can be called, but employers have no idea whether the reference contact is real or fake. It’s estimated that diploma mills crank out $1 BILLION worth of fake degrees every year, for a few hundred dollars a pop. Additional support such as fake resumes and references cost a bit more. "There's clear evidence that more than half of the people in any given year who claim a new Ph.D. actually bought a fake one," says John Bear, an expert in online education and co-author of a book on degree mills. A Pakistan-based IT firm called Axact seems to be the largest online diploma mill, according to a Canadian Broadcasting Company investigation. Using various fake schools, Axact issues degrees in engineering, computer science, social service counseling, and nursing, among many other majors. Is Your Cosmetic Surgeon a Hairdresser? "Paging Doctor Bob... Doctor Bob..." It's true that I acquired the nickname "Doctor Bob" while working at IBM in the 1980s. I'm not a Ph.D, but I do have a real degree in Computer Science. 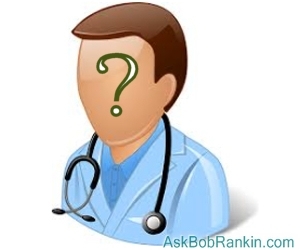 See my article Tech Support House Call to learn the story behind that, and how another "Doctor Bob" lost his job due to faking his credentials. Social media is not the place to find a cosmetic surgeon. A recent study found that only about 17% of cosmetic surgeons posting “educational” material on Instagram (which are really patient recruitment ads) actually have the board certifications and other credentials that they claim. Some of the self-identifying cosmetic surgeons are actually dentists, hairdressers, or spa employees. A group of high school journalists in Pittsburg, Kansas exposed their principal’s fake degrees, prompting her to resign from her $93,000 position. Her fake alma mater, Corllins University, does not exist, according to Dept. of Education records. Searches of LinkedIn.com reveal 745 people claiming degrees from Corllins -- all of them are bogus. Federal agents have identified 12,500 fake degrees issued by 40 diploma mills under investigation. That’s a drop in the bucket; it’s estimated that more than 5,000 diploma mills are active online today. Employers have to do extra due diligence to check the references, or even the existence, of job candidates’ alma maters, references, and past employers. Consumers should call state licensing agencies to verify the credentials of any hairdresser, engineer, lawyer, or medical professional they are considering. The Internet has made a lot of things easier. But unfortunately, fraud is one of them. On the bright side, with just a bit of Googling, intrepid sleuths can have a lot of fun outing fake Ph.D. principals and other posers. Most recent comments on "Doctors of Deception: Diploma Mills"
As wrong as it may be for phony PHD's to be masquerading as School Principals it is equally wrong for the members of Congress to be pretending to govern our country while they party in Washington D.C., line their pockets with ill gotten funds and do nothing for this country or it's citizens. Somewhere in the past 100 years or so this country has gone off the track it started out on and is rapidly heading to the same place that the ancient Greek and Roman civilizations wound up. For those in the viewing area, CBC Marketplace 'Fake Degrees' airs tonight Friday September 15. Home Repairs has always been a field to watch carefully, but even more so now that fake credentials are so easy to come by. Some of the workmanship that I've seen people pay good money for, could have been done better by a blindfolded monkey. One small quibble. It is the Canadian Broadcasting *Corporation*, not Company. Thanks Dr. Bob for an incredibly helpful service. Keeps me optimistic in a difficult world. Bob, do you mean to tell me that my B.S. degree from University of Hard Knocks potentially does not contain the periods after those 2 letters? A severe prison sentence should be mandatory whenever fraudsters are caught, not just forcing them to resign their position. Medical fraudsters should get even stiffer sentences. Only very severe sentences could possibly put a stop to this. I think it's time to introduce one more degree - Master of Science Fiction (MScFi). Should English teachers with fraudulent degrees get severe sentences? It's not just the fake colleges. 'Real' ones regularly mark students present or having arranged absence when just missing to avoid funding cuts related to attendance. Standards are cut every year. There has even been a proposal that qualified 'educators' with no qualifications in trade skills Carpentry, bricklaying etc., will be teaching these subjects in the near future. At least those who buy their qualifications have some interest in the subject. Most do not and only attend to continue to get their welfare payments. But I did stay at a Holiday Express last night. It would be nice to see one of those phony certificate sellers get into a car accident and be treated by one of those who bought a license from him. Better if he messed up because he wouldn't be able to sue his workplace or the phony doctor. It would be like: Johnny was a chemists son, Johnny ain't no more. What Johnny thought was H2O Was H2S04. Dr. Bob, I agree with the statements you made above. But, I would like to add, do people realize, that colleges and universities make everyone do group projects, so the professors have less work to do? I speak the truth, because I attended an online college. I had foreign students in my group, who could barely speak English. But, I had to make sure that they got a passing grade. When I realized what was going on, I dropped out. In my opinion, this is a form of cheating. I attended a for-profit college in search of a (real) Master's in IT to go with my (real) BA in the same field. Like Darcetha M, I also was required to "carry the load" for non-English-speaking, non-IT- proficient students as part of group projects. If I didn't go along with the assignment, I also would get a failing grade. My favorite was the most commonly cited source in the other students' research: Wikipedia. Needless to say, I only took two classes (concurrent) and then got the heck out of Dodge. Similar to Amazon eliminating bad reviews of Hillary's book. 90% plus 5 star ratings- yeah sure. I was delighted to see John Bear's name as an expert. He has close to 40 years of experience with diploma mills. For me, his book was quite helpful as a reference tool when advising aspiring scholars. Bob, you always find the good references! Another thing that I always had a problem with is the National GED High School Test. As I understand, the test is predicated upon the average test scores of tests given to entering, at random, university students, all of whom must have a high school diploma. Their average score must be the minimum score that GED test takers must achieve in order to receive their high school diploma. To my way of thinking, based upon the criteria mentioned above, that GED High school diploma holders, who were high school drop-outs, are better educated than the average person entering our universities & colleges. So, instead of requiring a HS diploma as a requirement for entry into a university/college, why not just give them the GED HS test. Half would probably fail.